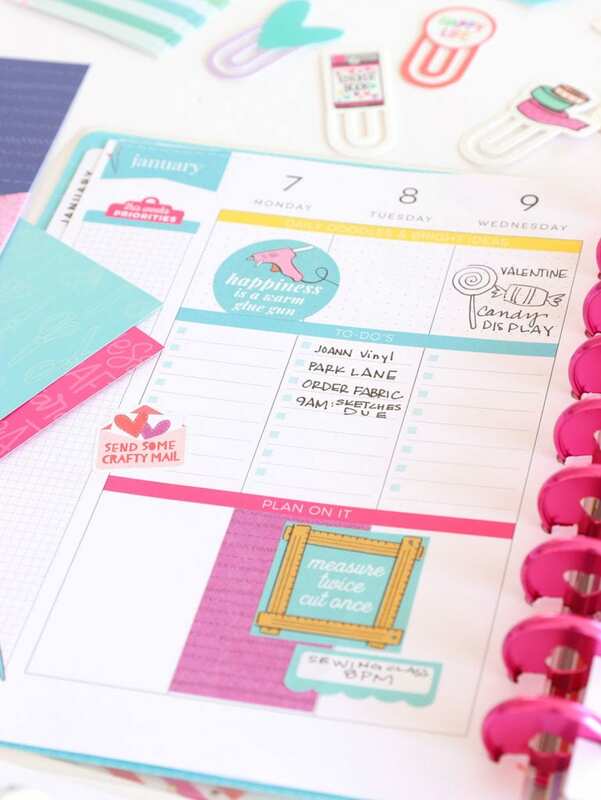 The Happy Planner Girl Collection is available JOANN …and I’m kind of a excited about it. For almost a year, I’ve been sounding the planner trumpet, in hopes I could bring more of my crafty family into the planner fold. Many of you have jumped on board enthusiastically – heck – when it involves stickers and cute papers, it’s not a tough sell. There are a few of you, though, you were still on the fence. 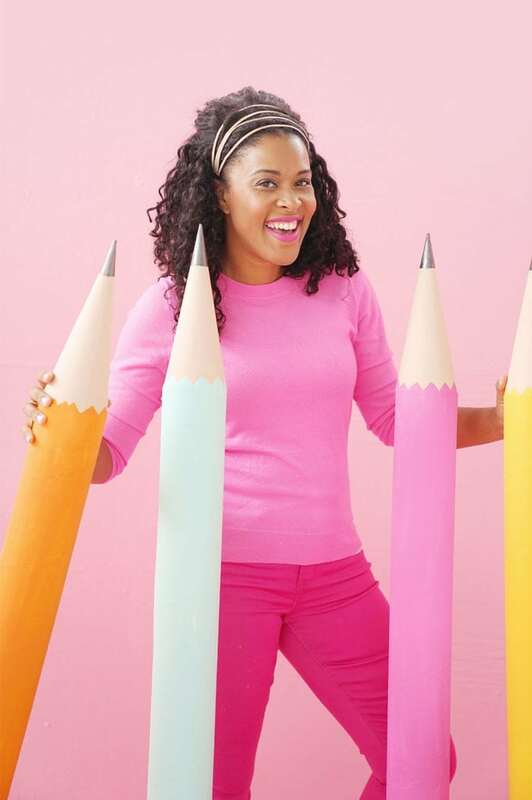 Being the battleax that I am, I love challenge and with the release of The Happy Planner Miss Maker collection, it appears that all my planner prayers have been answers. 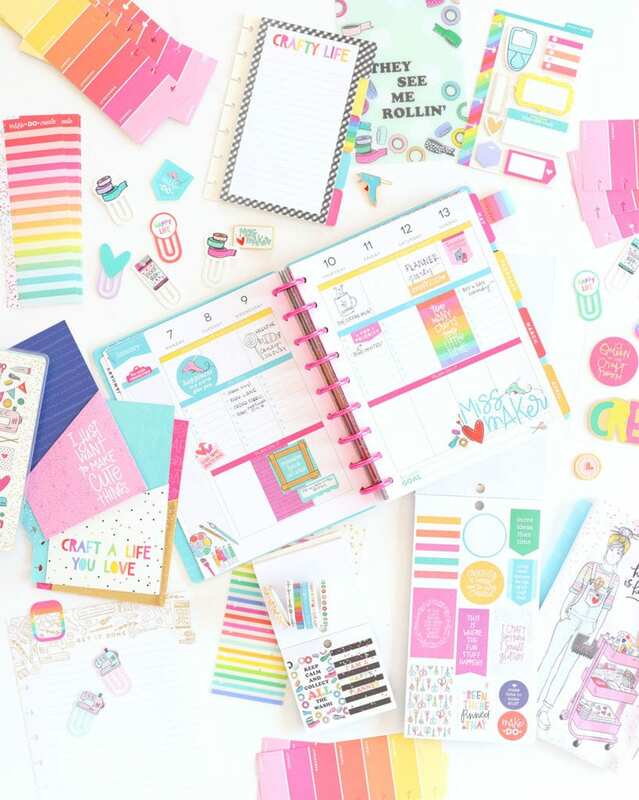 …and if you have an insatiable need for rainbows, well…this planner collection is DEFINITELY for you! 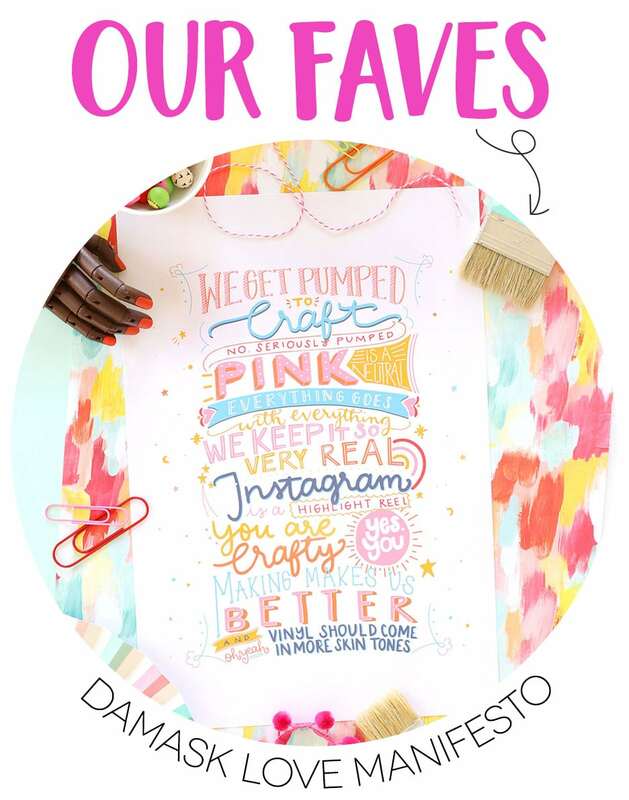 Every year, The Happy Planner releases a premium collection of planners built around certain themes. 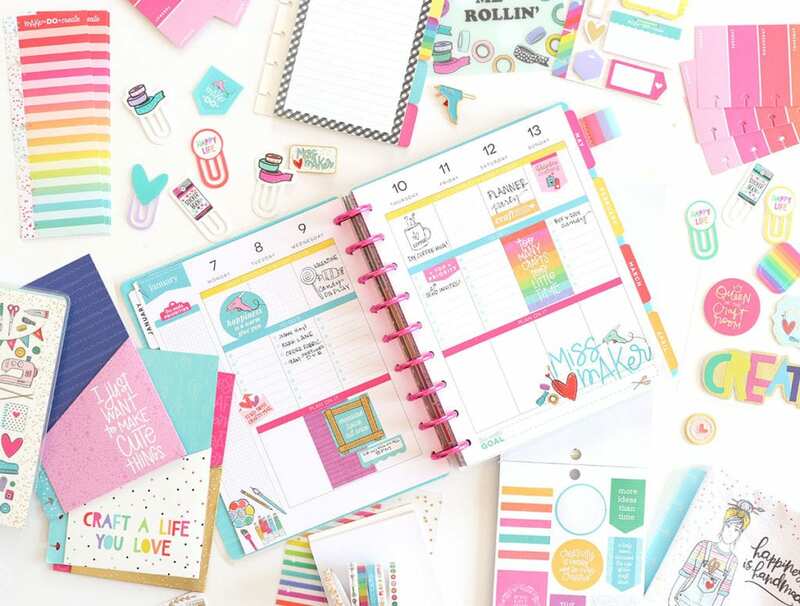 These five collections are collectively referred to as “Happy Planner Girl.” This year, there are five collections: Faith Warrior, Socialite, Super Mom, Healthy Hero and Miss Maker – which is EXCLUSIVELY available at JOANN. How do I get started with a Happy Planner?! It’s overwhelming!! Girl! I hear ya. I spent a long time trying to settle into a planner that I loved. There are a TON out there. To get started with your planner, I would recommend picking a collection you like and sticking to that collection only. 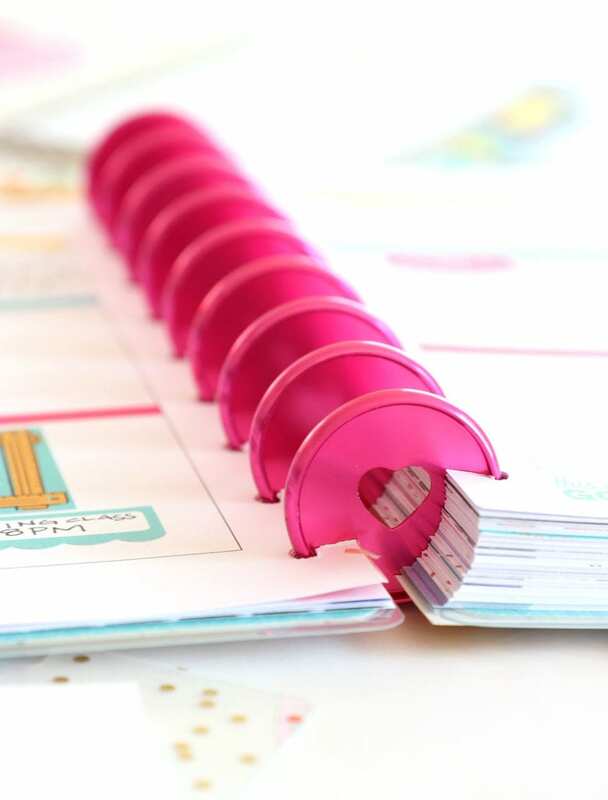 Don’t buy a TON of product until you figure out how you like to use your Happy Planner. Once you have a system down, then you can expand to more goodies. 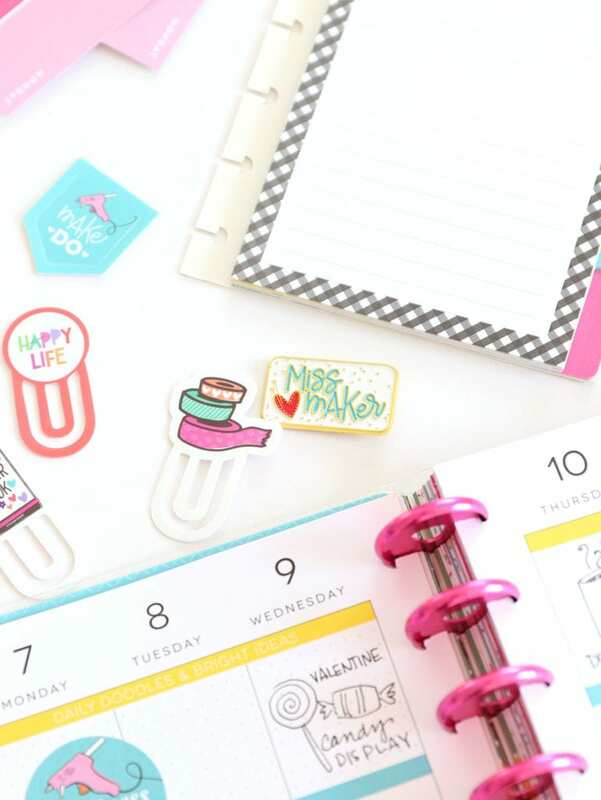 Start with a planner – like the Miss Maker planner – and add on a few accessories like the Sticker packs, Sticky Notes, Washi and Folders. How do you stay consistent with your planning? ! Give yourself 2-3 weeks to figure out how you like to set up your planner. This will be a time consuming process but once you get it done, you’ll be able to breeze through your weekly layouts. You’ll have a system and you’ll look forward to sitting down to your planner each week. I also like to set a “planner day” – usually Saturday or Sunday. This is when I sit down and create my weekly spread. Once the spread it done, I can fill in appointments and such. To accompany that Facebook Live, I thought a bit of eye candy was in order! Some photos of the collection, featuring a few of my absolute favorites! Miss Maker is available right now in stores and ONLINE!!! Go, go, go!!! Remember to share you questions here or on Facebook Live. I’m on a mission to make a planner out of you!! Let’s do this! 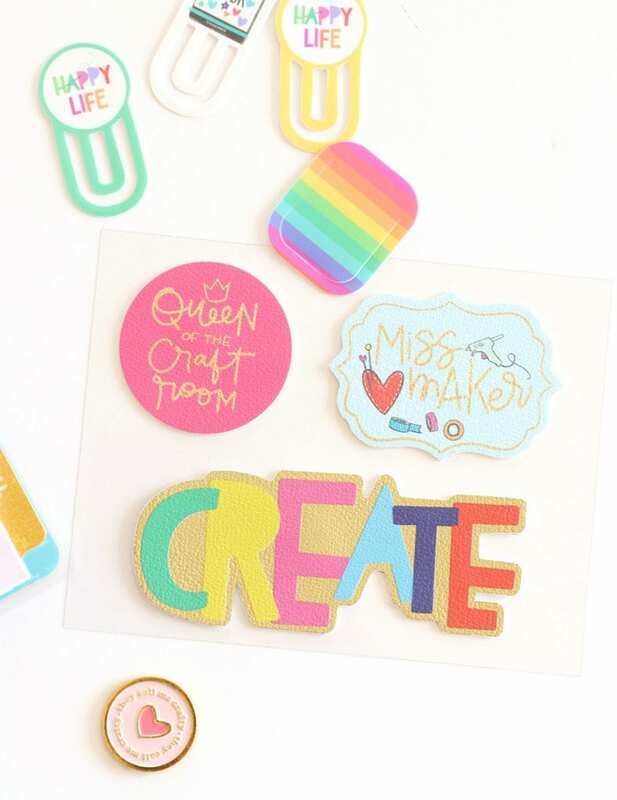 I have way too much in my craft room but as soon as you talked about the “Miss Maker” on IG, I went out and bought it. I got the last one at my Joann Fabrics. I also bought the stickers and a few extra inserts. I often hate to use the stickers and add-ons, not because they aren’t beautiful, but because I feel like maybe I shouldn’t use them today since there might be a better special occasion tomorrow. I feel like I’d be wasting the prettiness on a “blah” page. Do you ever have this issue? 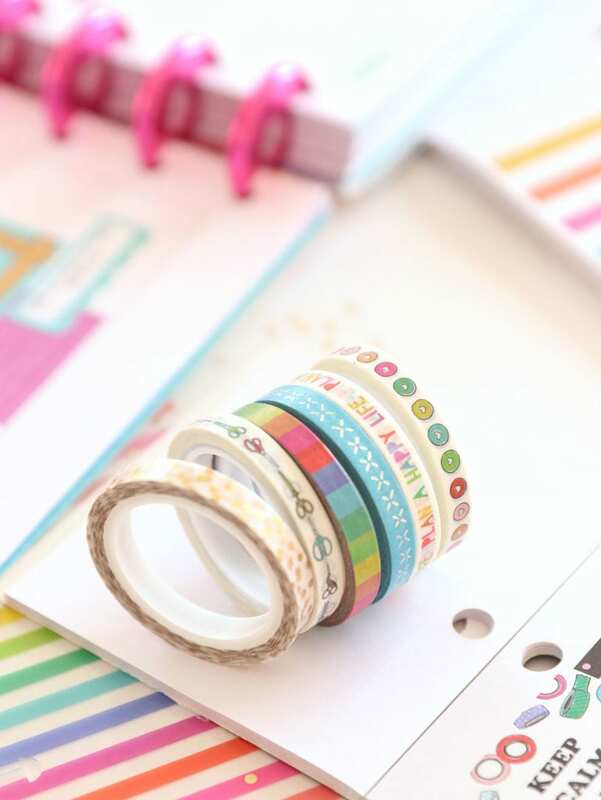 Do you just use the fun washi and stickers as you feel or do you have a system? Hi Tiffany! What an awesome question and here’s my thoughts – ALWAYS USE THE STICKERS!!! Every Happy Planner sticker book has MORE than enough stickers for seven lifetimes, LOL! When I decorate my planner pages, I generally like to stick to a theme and if I find a sticker that works with the theme, I use it! I don’t save it for another occasion because chances are – when that occasion arrives, I’ll forget all about it! Use the stickers, girlfriend! You won’t regret it! But when I saw this Miss Maker collection – Oh Good Grief! It is SO adorable! 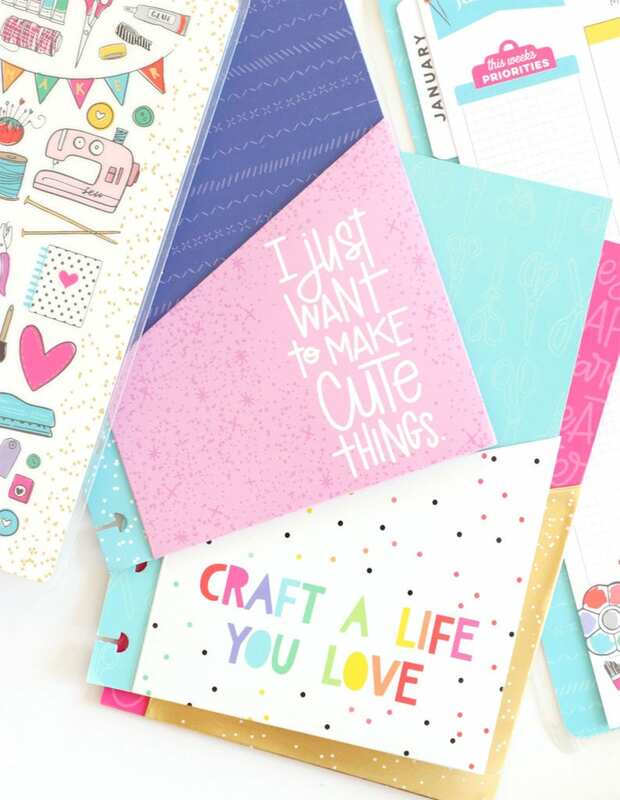 There is enough in life that we have to be serious about – why not have a seriously cute planner? 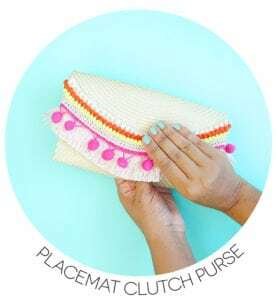 It looks like JOANN online might still have some Miss Maker supplies left! I think that’s probably your best bet! Happy crafting & happy planning!